A young teacher from England achieves a dream when he gets the chance to escape his mundane life and work for a year in the United States, but 1950s Mississippi is not the America he has seen on the movie screens at home. 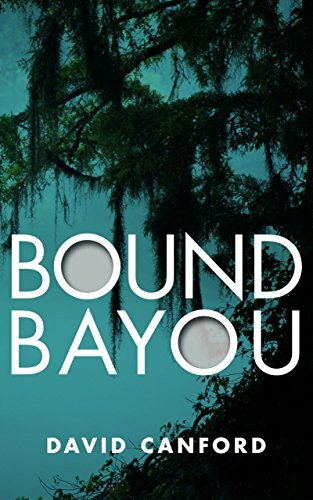 His travel adventure turns into a living nightmare when his independent spirit collides with the rules of life in the Deep South. Crossing the racial divide, he sets off a chain of events he can’t control. He flees to New York but the past catches up with him. Ultimately he faces a character defining challenge: can he find the courage to save a woman who can’t return his love, though he risks almost certain death in the attempt? "Great read. Captivates you from the very first page." "I was brought up in the deep south in the 60’s. The author really captured the feelings of the time and place." "This was a great read and left me eagerly awaiting the next book." "I enjoyed this story immensely. Kept me engaged the entire time. Was very emotional to read though due to the severe racial prejudices of the deep south back then but I would highly recommend it." "The South drips through these pages - a great read!"